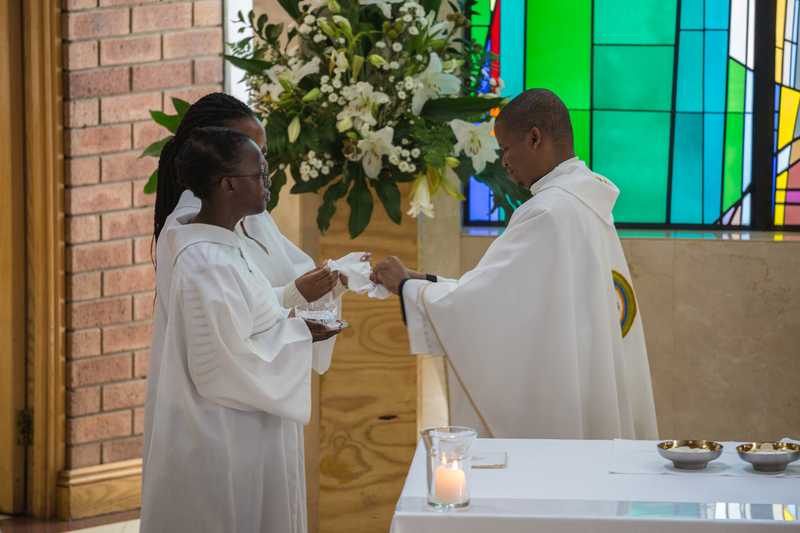 It is a great privilege to serve at the Altar of our God and therefore Servers are only chosen from among those who display a desire for a more intimate union with our Lord and God, Jesus Christ. Our loving Savior becomes present on the Altar, just as He was at the Last Supper and at Calvary. Accordingly, Servers have a solemn responsibility to carry out their assigned duties with dignity and reverence. 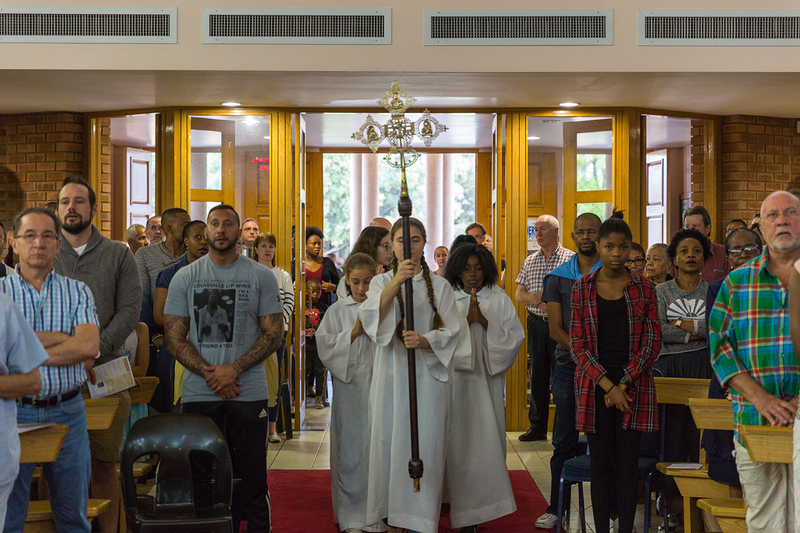 The Church of the Resurrection has approximately 42 alter servers, 8 boys and 36 girls, about 20 of whom are from Brescia House School. Alter servers usually commence serving after their First Communion. Your Son Jesus Christ showed His love for You by serving His needy brother and sisters. I now ask you to give me your help as I serve You and Your people. Open my mouth to praise You in word and song. Open my ears to hear Your Word. Take from my heart all distracting thoughts. Help me know what I should do, and do it well. Help me to serve reverently at Your Holy Altar, and so give You praise and glory, now and forever. Altar Servers must be mindful of the sacredness of their duties at all times. Therefore, they should refrain from socializing and unnecessary talk before and during Mass. Quarreling or disputes over the assignment of duties are never appropriate and indicate that one is not ready to continue in this ministry. Servers must be on time for their assigned Mass. Servers who know in advance that they will be absent for an assigned Mass must contact the Director of Altar Servers as soon as possible so that a substitute server may be found. Training aims to prepare for special Masses, update Mass requirements and prepare new servers. Training sessions also serve as platform to build team, pray together and share faith, thoughts and ideas to the Ministry of Altar Serving, we have all committed to. This past year we held 2 training sessions to prepare the new servers and update existing servers. Altar Servers must be mindful of the sacredness of their duties at all times. Therefore, they should refrain from socializing and unnecessary talk before and during Mass. Quarreling or disputes over the assignment of duties are never appropriate and indicate that one is not ready to continue in this ministry. Servers must be on time for their assigned Mass. Servers who know in advance that they will be absent for an assigned Mass must contact the Director of Altar Srvers as soon as possible so that a substitute server may be found.